How often have we been fed this particular notion as children by our media? It’s the kind of affirmation that aligns with a popular vogue in America for increasing narcissism. Despite increasing international competition and stagnating test scores, we never fail to score highly in assessments of confidence, self-esteem, and self-worth. This is dangerous. This mindset leaves us ill prepared to deal when we encounter our failures and shortcomings. When. Not if. We will fail in life. It is inevitable. To be taught that we are capable of absolutely anything we set ourselves out to do is a falsehood that harms us. Nevertheless, it’s a mythology so ingrained into America’s manifest destiny that to see Pixar regularly return to this well to teach children that someone is better than them or that they may be better than someone else is nothing short of remarkable. Someone is better than you. There may ALWAYS be someone better than you. What truly matters is how you meet that realization and how you adapt. 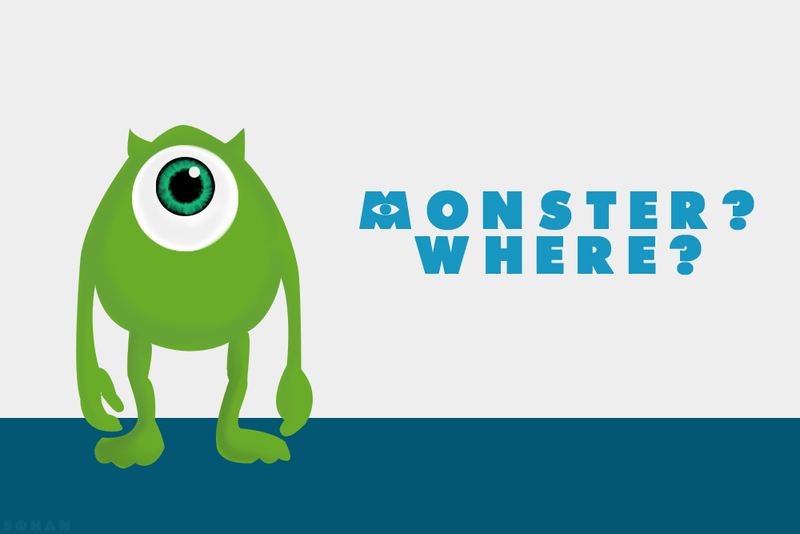 Mike Wazowski’s lifelong dream is to be a scarer, a monster renowned for his ability to frighten children. Of course the problem is that he isn’t scary. This is a tried and true setup for an underdog story, but Pixar doesn’t flinch. Mike will never be very scary. He will never accomplish his life’s dream because he doesn’t have the god-given talent for it. He isn’t talentless, but his childhood dream, his original raison d’être, will forever be out of reach and he can do nothing about that. All he can do is control how he eventually meets that realization. The Incredibles began the exploration of this theme in earnest. That movie was an ode to the talented, saying that there is no shame in rising above others but that we must exercise responsibility and sound judgment in equal measure as well. The Incredibles is a brave film for adding a nuanced layer to familiar ideas of extolling the virtues of differences. We can celebrate our differences, but the sad truth is that these differences will make some more special than others. It is sympathetic to the resentment we can feel toward the talented, and treats it with the dignity it deserves. When we hear “when everyone is super, then no one will be” there is a real and true pain that laces it. Monsters University is for the un-talented. It’s here where Pixar addresses everyone else. For the majority of the film we are treated to Mike Wazowski’s determination and focus and resolve to become a scarer, bordering on bullheadedness and delusion and mania. The movie heads towards its inevitable conclusion with grace and charm, lingering on his acceptance of the truth that while everyone’s differences can be utilized to surmount gaps in talent, not everything can be achieved through diligence alone. Talent is necessary in this world, and not everyone has it. The real beauty in this film and the culmination of the heartache of all the great talents at Pixar comes out in one of Mike’s lines towards the end. It’s there where we can learn that the world doesn’t end when we give up our dreams. We may never be the best, we may not even really have a shot, but we don’t have to let that define us and we can still find salvation in each other. The world can be a harsh place, but it doesn’t mean we can’t meet it. I haven’t watched Monsters U yet, but reading this I can’t help but think about how what you (and Pixar) are saying make the ending of Monsters Inc. so much sweeter. I won’t mention it to avoid spoiling it for anyone that may have not seen it (what the hell are you doing with your life!?!? ), but I just love how everything comes full circle. The two movies play off each other very well. Pixar is really good at that. I think it’s no accident that where Monsters Inc. focused mainly on Sulley’s emotional maturation, Monsters U focused on Mike instead. It’s a good balance. I’m kind of with you. The one property of theirs that I most desperately want to see a sequel to is The Incredibles since there’s SO MUCH that can be done with it! You have the opportunity to debut new, interesting villains that can present moral questions and quandaries; you can do something with the family, like maybe the kids are growing up and conflicting with the parents in some way; there can be more exploration on talent, like some kind of noblesse oblige… there’s so much there. But I think it’s Brad Bird’s baby and he’s off doing live action stuff right now. So we’re just gonna have to sit tight in the mean time. It means a lot to me to hear you say that you’ll consider the movie after reading this. What always speaks to me about Pixar films is not just the spectacle and artistry, but the sincerity that seems to permeate each of their stories. They go through great pains to develop new software and programs to essentially make the technicality of their work moot so they can better deliver what they feel is a story that needs to be told. There’s so much care for every aspect of the story-plot, themes, characters-that even their lesser work seems to have feeling in it. Even the first Cars, while not their greatest movie at the time, did have a real affection and nostalgia within it. Cars 2 however, was the first time where it felt like marketing and merchandising considerations came before story, and thus felt more cynical than any of their previous offerings. I was pretty bummed out by it, and hearing only mediocre things about Brave had me worried about that movie so I’ve put off watching it (I should rent it soon, though). 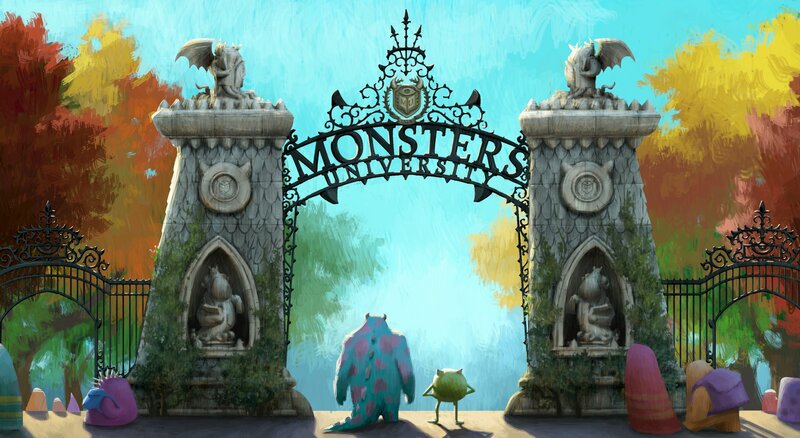 But Monsters U? It was easy and breezy throughout, and had HILARIOUS characters! I didn’t talk about my favorite character in the movie since it was outside the scope of what I wrote, but Art had me cracking up hysterically more than once! One line in particular during a rooftop chase sequence had me gasping for air I was laughing so hard. Oh man…that line was so great…. But yeah, I was so glad that I was getting twinges of a return to form throughout, and when Mike’s line dropped near the end, I knew they nailed it. It was so careful, so slight, but there was so much weight behind it, so much heartache, that it lingered with me as I walked out and headed into the night. That’s the best I can hope for in a movie, and Pixar just seems to do it over and over again. This was a beautiful post. And I mean that. You touch on a sensitive and burgeoning problem in the US, where the virtues of equality and fairness come full circle to become soothing salves for lack of personal effort and merit. The horrible inflation of self-worth in this country is a bubble that will pop rudely and unexpectedly. That’s why I was so surprised (and impressed) that the theme of MU was what it was. You can (and will) fail, but that doesn’t mean you’re a failure. Thanks pal! I’m glad I managed to explain how I felt about this movie if even just a little. We have to be careful not to let this descend into a screed on “personal responsibility” and “meritocracy”, since those phrases give me the impression of conservative buzzwords that dismiss real issues of inequality. But yes, we do have a problem with an inflated sense of self-worth in this country, and not all of it comes from our entertainment media but that sure as hell doesn’t help matters. The majority of the traffic this post got came from facebook of all places, as it started a LOT of different conversations (and arguments even) about whether what I wrote was appropriate to teach children. I wish I had thought of your line, though. “You can (and will) fail, but that doesn’t mean you’re a failure.” That’s aces. This is a lesson I wish I had learned a lot earlier in life. I cruised through everything for so long so easily that I began to really believe I could do anything. And when I started failing, I thought something was wrong with me. I should be able to do anything, why can’t I do this? Eventually I had to come to terms with the fact that I wasn’t the best at everything. Hell, I wasn’t even decent at a lot of things. But that’s ok. I have my own strengths and weaknesses just like everyone else. It took me a long time to accept myself, but I think I’m finally maybe almost there. Though this is a game he’s talking about, it’s a really similar concept to real life. No one is entitled to succeed. Some people just won’t have the skills or the ambition to be successful. Not everyone is an elite. But that’s ok.
Pingback: January 4th | 525,960 minutes; How Do YOU Measure a Year?